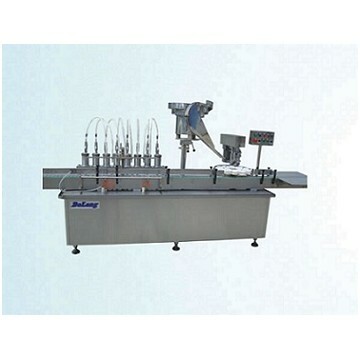 This machine can finish glass or plastic bottle filling, cap-feeding and capping. It uses linear structure, plunger pump filling, with coarse and fine adjustment to ensure accuracy and convenience. The lock has capping, ordinary capping, pilfer-proof capping and other options. Locking mode Capping, ordinary capping, pilfer-proof capping etc.